Good morning! Welcome to The Morning Shift, your roundup of the auto news you crave, all in one place every weekday morning. Here are the important stories that you’ll be able to text to your friends to prove how smart you are. Remember when we said that Ford can’t make Lincoln Navigators fast enough because it wasn’t used to people actually, you know, wanting them? 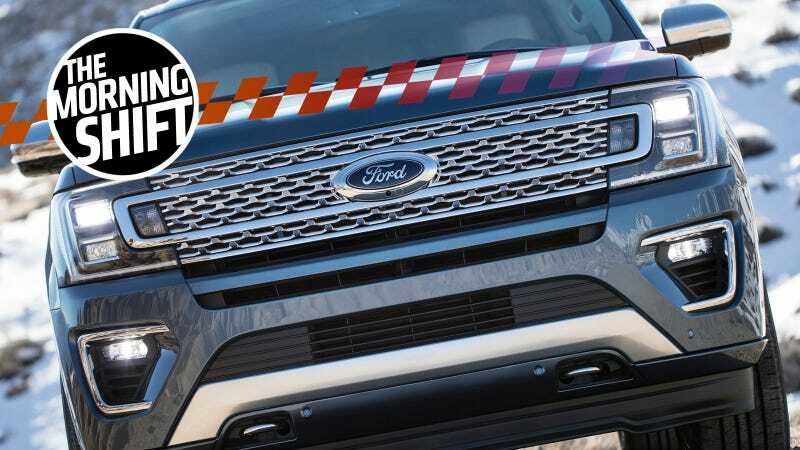 The situation has expanded out to the Ford Expedition as well and Ford announced today that it’s dropping $25 million on the Kentucky Truck Plant to speed up production, as Automotive News reports. CEO Jim Hackett has banned Ford employees from ordering Navigators or Expeditions for personal use, a source with direct knowledge of the directive told Automotive News. Typically, employees who get vehicles through the company’s manager lease program can have their pick of the lineup, excluding some high-performance models. Restrictions on mainstream vehicles are rare, if not unprecedented, the source said. Retail sales are up 59 percent for the Expedition in January, 132 percent for the Navigator. You maniacs still can’t get enough of these gigantic SUVs. I’m going to keep chanting to myself that this is good until I believe it. This means that all of the car manufacturers that use the VCA will have to find a European alternative within a few years of Britain leaving the EU. Several major brands, including Jaguar, Land Rover, Toyota, Nissan, Honda, Skoda, Peugeot and Citroën use the VCA, each paying several hundred thousand pounds for each new model that is approved by the agency, according to industry estimates. This is going to lose a lot of money for the post-Brexit UK government, by the looks of things. Didi Chuxing, China’s Uber, only gave its first demonstration of a self-driving car a few days ago, and now the company is saying that it has been testing on public roads for the past two months, as the Financial Times reports. Driving in China is wild, and I support any company trying to figure this whole thing out beyond the sterile environments of Silicon Valley. Google’s Waymo might be out of the courtroom since it and Uber settled a stolen tech lawsuit, but The New York Times just published a report detailing that the company is not completely free of worries. The Times notes that Waymo doesn’t make cars, nor does it even have a ride-hailing service like Uber, so it has its work cut out for it. Reverse: How Much Longer Will The SUV Craze Last? I give it a collapse before the end of the year. You?